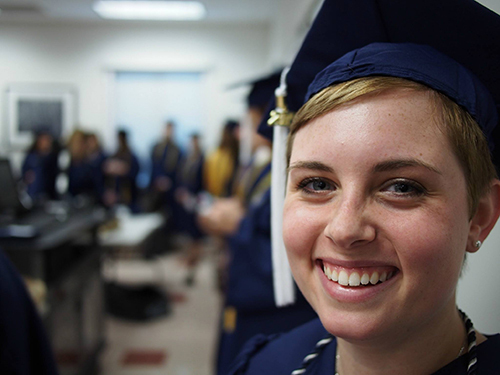 As a member of the State University System of Florida, the Wilkes Honors College offers a top-quality education at a surprisingly affordable cost. However, many qualified students still need financial aid to attend college. The Wilkes Honors College awards merit scholarships to all students, and need-based scholarships and loans are available to students who desire a college education but cannot pay the full cost. Information about Honors College Scholarships and other sources of Financial Aid is available by clicking the appropriate tab above. Estimates of the cost of attendance are below. For further information about need-based aid or any financial aid questions, email finaidjc@fau.edu. Helpful information about financial services is also available at FAU Financial Services. * All costs are estimates and subject to change. Does not include books and personal expenses. 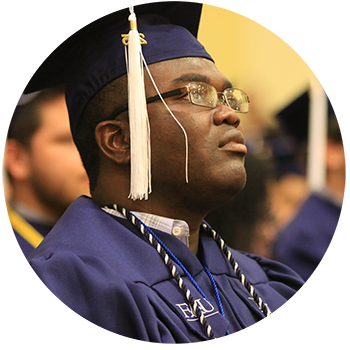 ** A limited number of out-of-state tuition waivers are available. *** All rooms are single-occupancy. You can estimate your total cost of attendance using FAU's Cost estimate (recognizing that housing costs may differ to some degree). Note: All of the types of Financial Aid listed in this section require the submission of the Free Application for Financial Aid (FAFSA). The FAFSA school code for the Wilkes Honors College is E00830. Money from the federal government, state or school that does not have to be repaid. A program funded by the federal government so that students can work part time while in school and earn money to help pay for school. Every student, no matter their or their family’s income, will be guaranteed eligible for Federal Direct Loans if the student is degree seeking and enrolled for a minimum of six credit hours each semester. The loans will be either subsidized, unsubsidized or a combination of both. Federal Direct Loans do not have to be repaid until six months after a student graduates or six months after the student stops attending at least six credit hours per semester. The federal government pays the interest on the loan while the student is enrolled for at least six credit hours per semester. The student pays or capitalizes the interest on the loan while they are enrolled for at least six credit hours per semester. The Financial Aid Office will help you design a financial aid package from a full range of federal, state and institutional grants, scholarships, loans, and work-study assistance programs. For further information about need-based aid contact Financial Aid, Jupiter Campus. Do you want to know what kind of Financial Aid award package you have been given? You can check the Student Self Service System at MyFAU to determine your Financial Aid status at FAU and also to check what remaining expenses you have! Further information on financial aid is also available at FAU's financial aid webpage. Applying for financial aid has never been easier. The first step is to complete the Free Application for Federal Student Aid (FAFSA). This application establishes your level of eligibility for federal and state grants, loans and work-study programs. Some types of aid are limited in funding, so apply as soon as possible after October 1 of each year. Students must resubmit a FAFSA every year that they plan to have financial aid. Available online from www.FAFSA.ed.gov or by paper. Paper forms are available in December from any high school guidance office, community college, university financial aid office, or library. When completing the FAFSA use the school code of E00830 for the Wilkes Honors College. The Honors College has scholarships specifically targeted for those with demonstrated need: these include the Bigony Pay-it-Forward scholarship for sophomores, juniors, or seniors who agree to take on the moral obligation to pay back the award at some point in their lives when they have the means to do so. For further information about need-based aid contact Financial Aid, Jupiter Campus. With few exceptions, each student admitted to the Wilkes Honors College is awarded a merit-based scholarship, the value of which is based on test scores, academic records, activities, and housing status. No separate application is required and all applicants are automatically considered for one of these awards. Prospective students demonstrating particularly noteworthy promise and who are admitted prior to Dec. 15 will receive an invitation to participate in Scholars Day, which includes interviews and extemporaneous writing--these activities help us select the recipients of our top scholarships. Florida residents are also eligible for the Florida Bright Futures scholarship. For more information contact the Office of Admissions (through our contact page or by phoning 561.799.8646). Please note that students pursuing a second Bachelors degree are not eligible for an Honors College scholarship. Visit the Honors College Scholarships page for a list of scholarships available to incoming freshmen. Honors College Endowed Scholarships are available through the generosity of individual and corporate sponsors. All students who are admitted to the Honors College are automatically considered for these scholarships—there is no additional application. It is good to use an Internet based scholarship search engine, such as www.fastweb.com or scholarships.com . The College Board also maintains a free scholarship database that you can access through their website at www.collegeboard.com. Prestige scholarships are nationally competitive scholarships, and include the Marshall, Rhodes, Truman, Udall and Goldwater. Most of these scholarships are for graduate study. Several of these scholarships require applicants to be nominated by their University representative. Many of the FAU representatives are Honors College faculty. Further information is available on the Honors College Prestige Scholarships page. Don't ignore those local/regional scholarships. A $500 Elks or American Legion scholarship can pay for the first year of books, and is money that you won’t have to pay back. Apply for any scholarship that you may qualify for. Some require just a 2 page essay, and millions of dollars in scholarships go unclaimed each year. Florida's Bright Futures Scholarship Programs: Students qualify based on their High School performance, GPA and SAT or ACT scores. Students must be a Florida resident and a graduate from a Florida high school, and must complete the State of Florida Financial Aid Application (separate from the FAFSA) during the spring of their senior year. Students may apply by paper or online at www.floridastudentfinancialaid.org. Visit the Financial Aid FAQ section just for Honors College Students. Q: How does FAU know I have Florida Prepaid? A: At the beginning of each term FAU matched the list of currently enrolled students to Florida Prepaid's database, and then Florida Prepaid sends the payment to FAU after we bill them. There is no need to check in with the Controller's Office with your Florida Prepaid card. Q: When will my Florida Prepaid be applied toward my account balance? A: Florida Prepaid is posted approximately 3 - 4 weeks from the first day of classes. As the term approaches, the expected payment date from Florida Prepaid will be posted on your Account Summary by Term webpage (accessible through your MyFAU student account in FAU Self Service). Q: Can Florida Prepaid be applied before my financial aid? A: Financial Aid is applied during the 2nd - 3rd week of classes and is applied before Florida Prepaid. Q: How much will Florida Prepaid pay toward my account balance? A: Please visit http://www.fau.edu/controller/student-services/prepaid.php to view the contribution amount of Florida Prepaid. Students utilizing the "Tuition Only" plan will use the middle column, and students utilizing the "Tuition and Local Fee" plan will add the middle and right column. If you are unsure of your plan, please view your Florida Prepaid card or you may contact Florida Prepaid directly at 1.800.552.42732 #2. Q: What fees are not covered by my Florida Prepaid plan? A: Florida Prepaid will not pay for your Owl Card (FAU Photo I.D. ); Technology Fees; Orientation Fee; Lab Fees; Late Payment Fee; Payment Plan Fees; eLearning Fees; Repeat Course Surcharge Fee; and Transportation Access Fee (Parking Decal). Q: When do I pay my remaining balance? A: All tuition and fees not covered by your Florida Prepaid plan (including those not covered by Financial Aid) are due two weeks following the last day to pay. View the FAU Academic Calendar for fee payment due dates. Q: Can I sign up for a payment plan if I have Florida Prepaid? A: Yes, during the Fall and Spring terms. However, payment plans are not offered during the summer term. Learn more. Q: What if I do not want my Florida Prepaid to be invoiced? A: If you do not want your Florida Prepaid to be invoiced, please complete a Request for Change in Billing of Florida Prepaid form. Q: How do I apply my Florida Prepaid Dorm? A: Please contact the Housing Office to utilize the Florida Prepaid Dorm Plan. Their contact information can be found here. Q: How do I set up an authorized user for my account? A: On the billing web site you can view your statements, make payments, ad an alternative email address, and set up AUTHORIZED USERS. You can also set up text messaging under "My Profile." For additional information, please visit Student Financial Services. You may email questions to the FAU Controllers Office.